Dimitris Pamboris is an extremely talented chef who has been active in gastronomy for almost 15 years. Maintaining the delicate balance between tradition and modernity, it raises the bar of creativity by demonstrating that Greek tastes can stand at high culinary levels, a talent recently highlighted by the world-renowned magazine Rolling Pin. He presented excellent gourmet writing at the Apocalypsis restaurant in Patmos while his current office is Ekies All Senses Resort in Chalkidiki where he is Executive Chef. 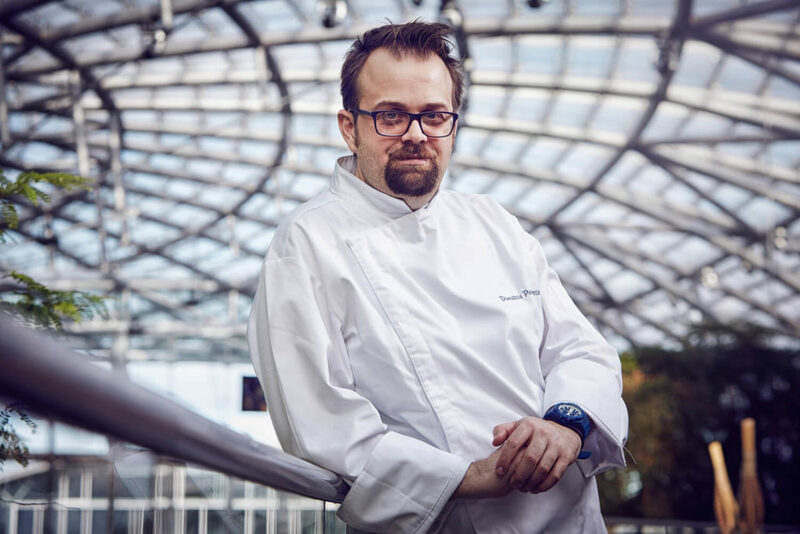 A reference point in his gastronomic journey is his participation in the international repercussion project held at the Ikarus restaurant of the Hangar7 platoon at Salzburg Airport, where he created a menu of Greek air, drawing off riotous reviews. Dimitris Pamporis creatively improves on the flavors of the Greek tradition, and not only by composing a menu with personality, modern aesthetics and deep taste.